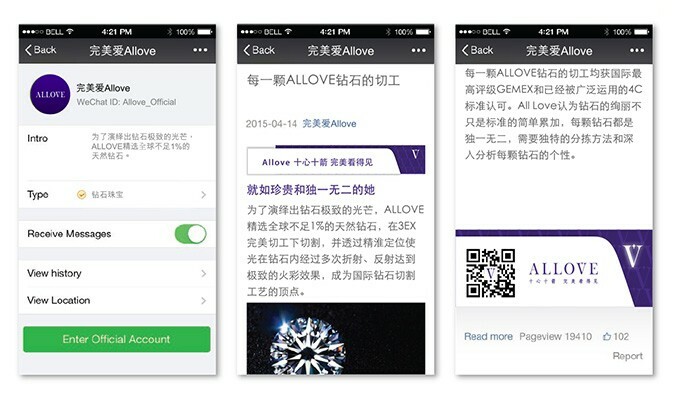 Allove provides original design and manufacture of innovative diamond products to top-tier jewellery retailers. Having recently created a revolutionary cutting technology yielding the world’s brightest diamond, they needed a brand image to support their communications and global ambition with a well-defined brand strategy. 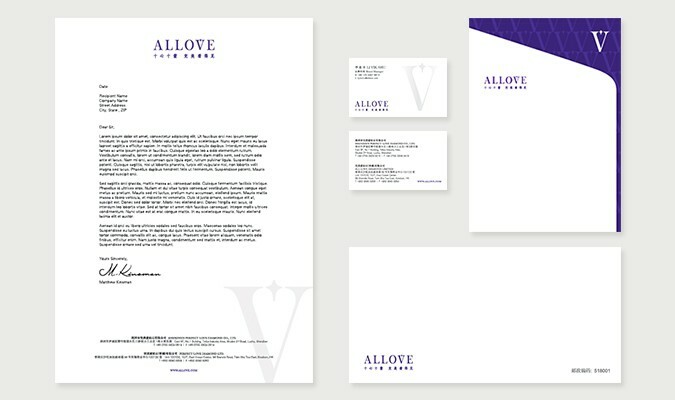 Our starting point was to define a brand image which would express the brand's values and personality. 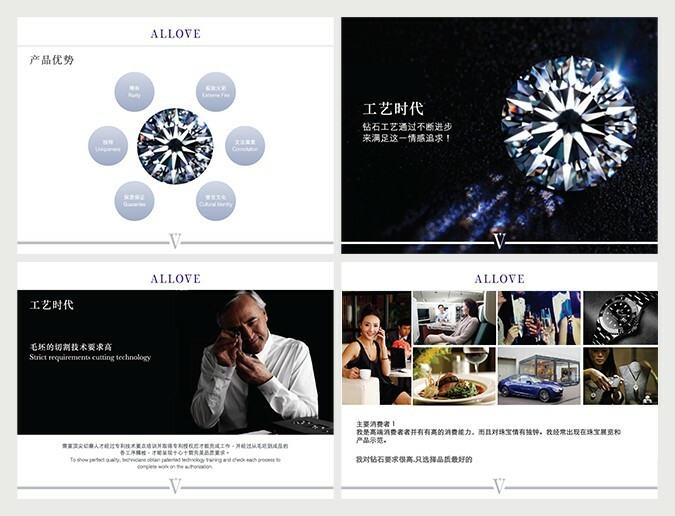 In order to reach the Chinese consumer audience with accurate messaging, we conducted extensive qualitative research, gathering key insights into the local mindset towards diamonds. These insights also informed the communication with stakeholders, illuminating the leading retailers as well as aligning with the industry. Bringing this image to life, we created the logo and visual identity – European, sophisticated, luxurious, yet filled with innovative undertones. The flash of light on the letter “V” completes a heart shape, signifying perfection at first sight. The refined brand has successfully brought out the product’s functional benefits and fulfilled consumers’ emotional needs, creating a differentiated and valuable brand image that has helped in changing existing perceptions of the category. The challenge stemmed from recognition that the diamond market was mainly dominated by long-standing international brands. 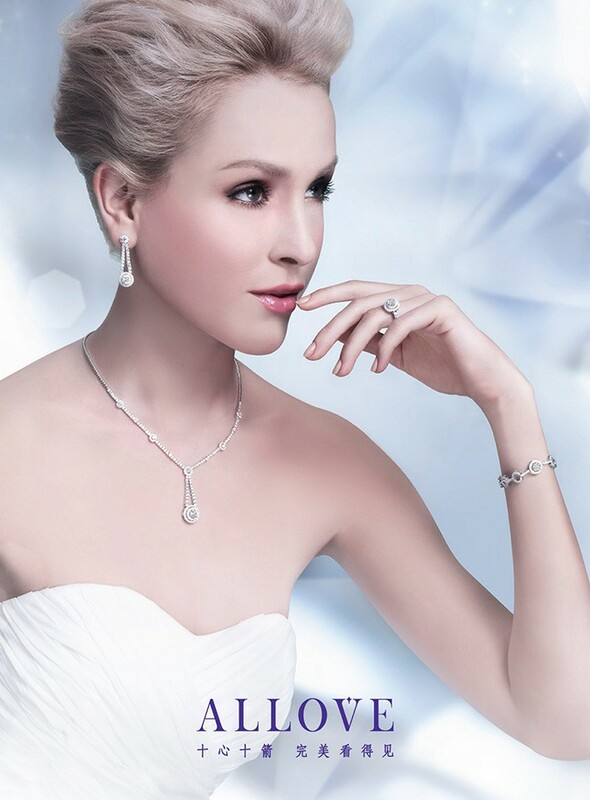 In countries like China, consumers generally lack knowledge of diamonds and base buying preferences on the brand reputation. 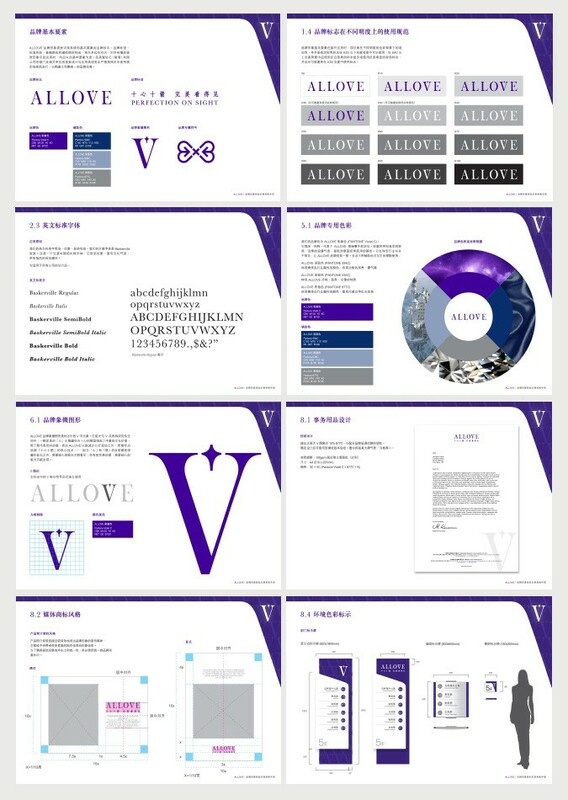 Our starting point was to define the brand image, to express the brand's values and personality, and as a canvas from which the brand's expression would be drawn. Bringing this image to life, we created the logo and visual identity – European, sophisticated, luxurious, yet filled with innovative undertones. The flash of light on the letter “V” completes a heart shape. The refined brand has successfully brought out the product’s functional benefits and fulfilled consumers’ emotional needs, creating a differentiated brand image that has helped in changing existing perceptions of the category.